Without strong passwords there can be no security on the internet! The more complex they are, the harder they are to crack. But who can honestly remember all of them anymore? How can you manage highly secure passwords for dozens of different services? 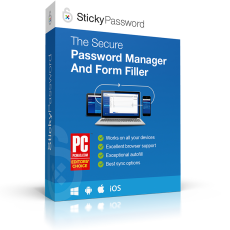 Sticky Password creates and manages super-strong passwords for you. All you need to remember is your master password and the program handles the rest - with maximum encryption. Use Sticky Password and turn a hacker's worst nightmare into a reality! Instead of dozens of passwords, remember just one. Everything else is automatically filled in by the password manager. AES‑256 – the world’s leading encryption standard. Optional synchronization via local Wi‑Fi – your encrypted data never leaves your devices. Biometric authentication. You and only you will know your master password! We'll neither store your password on our servers nor will we send it over the internet. By default, it will also not be stored on your devices. It will only exist in your head. The data encryption used in Sticky Password is based on the world’s leading encryption standard AES‑256 – the same data encryption used by military and government organizations. One of the optional benefits of Sticky Password: you don’t have to synchronize only via our cloud servers. The synchronization can be made over local Wi‑Fi or manually – your encrypted data never leaves your devices. 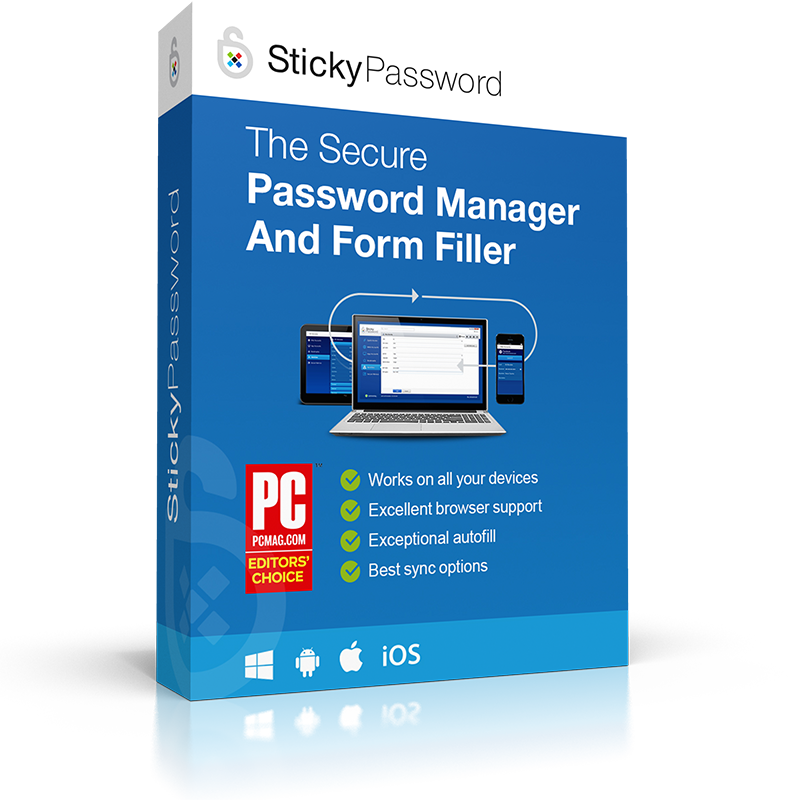 No other password manager offers more in terms of biometric support of fingerprint scanning than Sticky Password. Identity verification of the account holder can be made with just one swipe of a finger. We support fingerprint authentication on iOS and Android phones and tablets that are equipped with fingerprint scanners. This includes Touch ID on iPhones and iPads, and the Samsung Galaxy and other Android devices. Increase the security of your data by enabling Two-Factor Authentication (2FA). 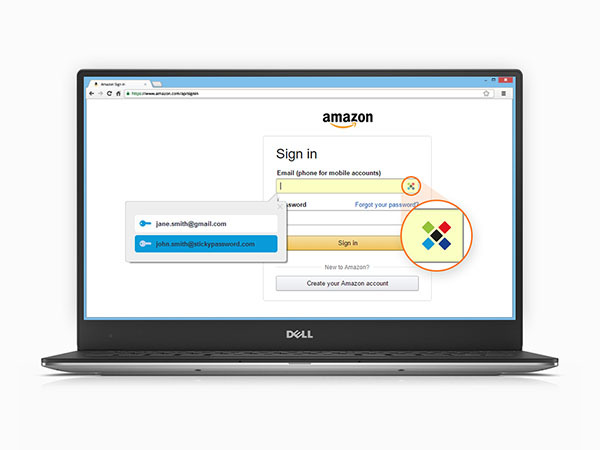 When activated, you’ll be prompted to enter an additional unique security Code after entering your Master Password each time you unlock your database. Run Sticky Password on your tablet, your computer and your smartphone. Sync through our cloud server, your local Wi-Fi network or manually.